Rita: Uh-huh. I’m going to a speed-dating event with Laura. Greg: You and Laura are really into that kind of thing. Is it fun? 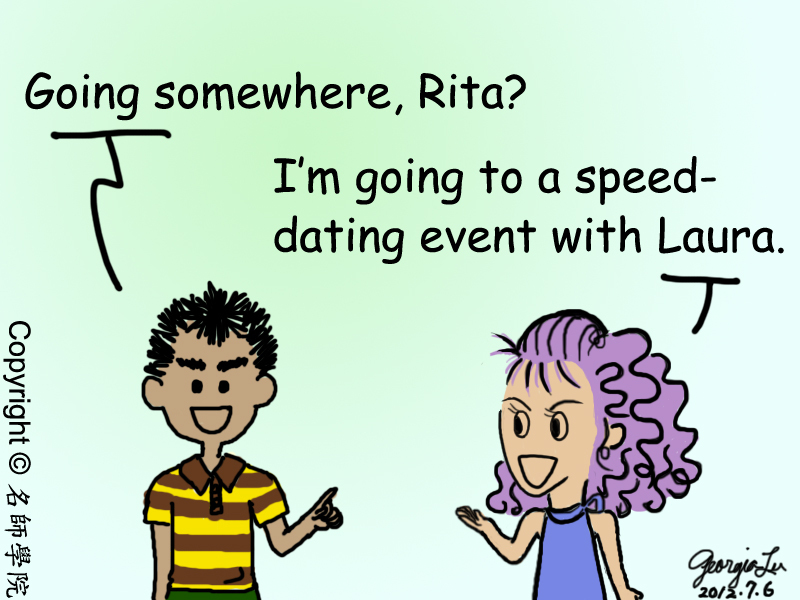 Rita: It’s hard to say. Sometimes it can get really boring when you have nothing in common with the partner you’re assigned to. I still get a bit nervous every time I introduce myself. Greg: Here are some tips that might come in handy－First of all, make your introduction brief. You don’t want to bore people with too many unnecessary details. Greg: And secondly, try to laugh at guys’ jokes. I know sometimes our jokes aren’t as funny as they sound, but showing a little appreciation will certainly heat up the conversation. Rita: Copy that. Thanks for your advice!